DYNAGROOVE goes out with a Sh-Boom! Teddy’s Bar & Grill is a landmark in Williamsburg living. For those of us who lived in the Northside during the Nineties, it was one of the few places where one could go for a decent meal in a comfortable environment. 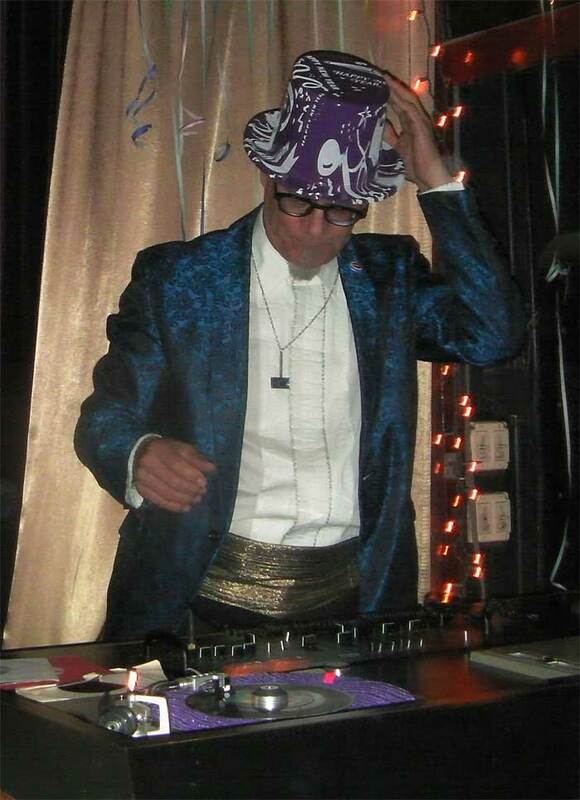 Thus it was with great pleasure when, during the summer of 2010, Phast Phreddie the Boogaloo Omnibus was asked by Roger Barr—ex owner of The Ottoman, now working for Teddy’s—to have a Wang Dang Doodle-associated DJ night there on the second Friday of the month. When it comes to Teddy’s Bar & Grill, signature events always seemed to be on Friday the 13th. The very first time a Wang Dang Doodle event was presented at Teddy’s was on Friday the 13th of August, with guest DJs The Thing With Two Heads—Bazooka Joe and XTINE16. Various sonic happenings took place over the months before The DYNAGROOVE began, including an Exotic Delirium night with Charles Gaskins, a Twist-Action party with DJ Shimmy and an Astro Mambo Jungle Rhythm affair. Also, for some of the nights during these months, exotic dancer Brooklyn Babydoll pranced around as part of the entertainment. 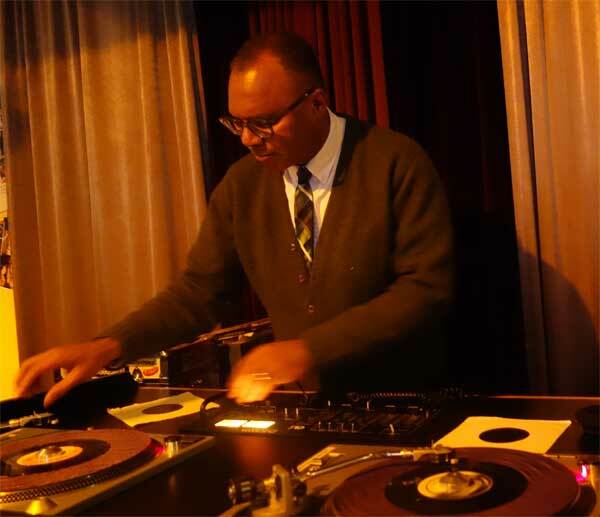 Gaylord Fields swings at the Last DYNAGROOVE! On January 13, 2012, The DYNAGROOVE was ready to make the scene. The DYNAGROOVE was a concept developed in the Wang Dang Doodle laboratory that mixed mastication with music in a memorable and marvelous manner. It was simple: Phast Phreddie the Boogaloo Omnibus started the evening with two hours of mod jazz, light funk, elegant mambo, afro pop, classy lounge and mid-tempo soul music as diners enjoyed the delicious food. This was followed by a guest DJ who would swing for an hour. Then The Boog returned to move the tempo up a notch or two until the place was jumping with exciting Go-Go beats. Nogood Nick swings at the Last DYNAGROOVE! 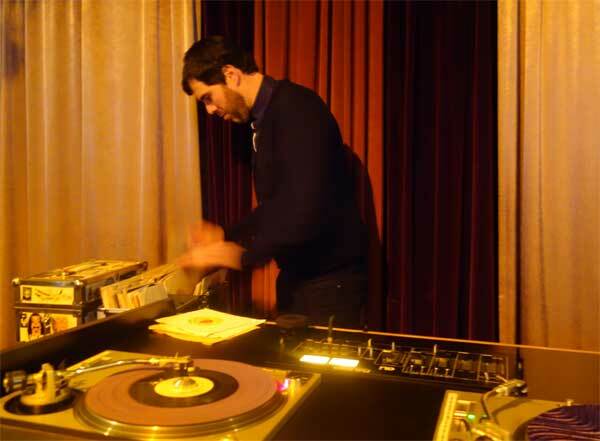 The first DYNAGROOVE guest DJ was Girlsoul, who played sixty minutes of superb sweet soul music. Other DJs included Mr. Vacation, Ol’ Stark, One Mint Julep, Peanut Butter Brown, DJ Ratta, Friar Popwell, Selector Bunny Punch, DJ Shakey, Avi Spivak, Neal Sugarman, Greg Tormo, Carlos Tropicaza and DJ Xerox. Occasionally there was a theme, such as the Doo Wop Hop that featured Lenny Kaye, or the Blues nights that featured Mr. Fine Wine, Eli “Paperboy” Reed or Brian “Daddy Long Legs” Hurd. Sheila B was on hand for a couple all-female artists nights. Lenny Kaye and Mr. Fine Wine were also involved in all-instrumental nights (one of which was memorable for the appearance of DJ Miss Sepia Tone), and the New Orleans R&B Mardi Gras night with Mr. Fine Wine will go down in history, as it was the impetus of a famous record trade. 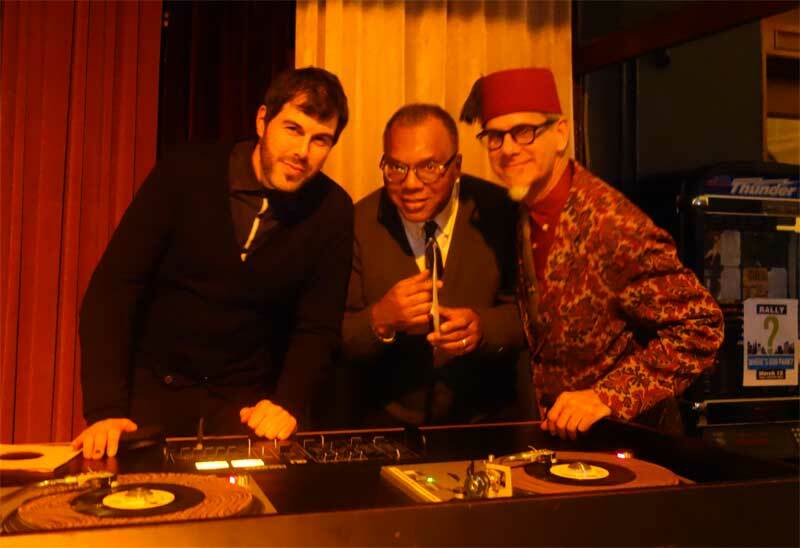 Two of the most popular guest DJs were Gayord Fields and Nogood Nick. These two were asked to swing on Friday the 13th of March, 2015, when The DYNAGROOVE roared for the last time. After more than 25 years of ownership, Mr. Kirby and Lady Felice are in the process of selling the restaurant. The new owners have promised to keep Teddy’s intact for the most part, but will eschew entertainment. Thus The DYNAGROOVE will be on sabbatical until we find a new place where the kids are hip. Phast Phreddie the Boogaloo Omnibus, as well as the Boogaloo Bag writers, would like to take this time to thank them for diggin’ the sounds that The Boog put down over all these years. For The Boog, it was a joy and an honor walking into Teddy’s every month with his box of records to set the scene for The DYNAGROOVE and the several New Year’s Eve parties that he was involved with. We are going to miss it. 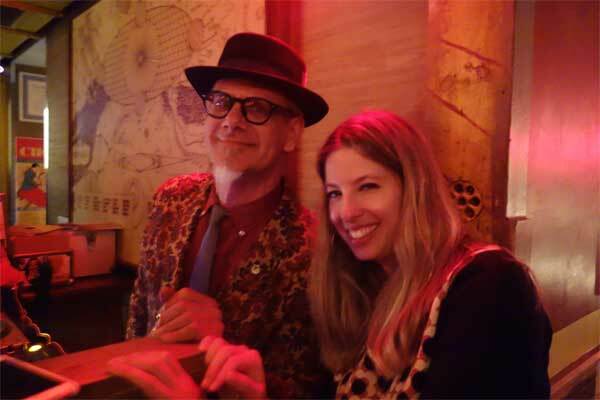 Still riding the high of the Last DYNAGROOVE, The Boog and the official Boogaloo Bag photographer Nancy “Jeannie” Gardner made their way to Baby’s All Right, a groovy new club where our pal Sheila B was presenting her new DJ night, Sh-Boom! with guest DJ Sampsa Vilhunen from Finland. As soon as they walked into the club, Miss Sheila insisted that The Boog go back to the car and grab his box of records and play a few for the crowded dance floor! The Boog and Sheila B swing at Sh-Boom! When it was all over and everybody was finally heading home, Miss Jeannie commented, “Man, that was a fun night!” And so it was. None of the records listed are for sale. This entry was tagged Bazooka Joe, Boogaloo Omnibus, DYNAGROOVE, Gaylord Fields, Nogood Nick, Phast Phreddie. Bookmark the permalink. Rebel Night is a Blast!!! !